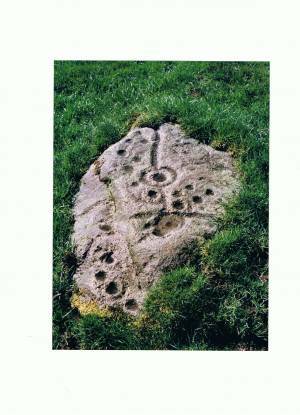 Record Name Rock art sites at Howgill Farm. Record Description The fine decorated rock illustrated here was first recognised by Paul Brown, it is Site 1 and the main decorated surface in the pastures to the west of Howgill Grange farm. 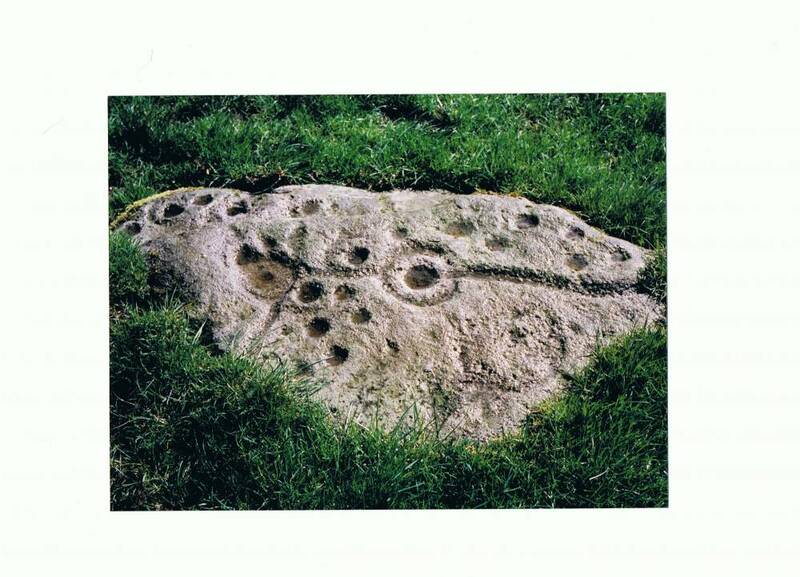 This rock together with the other rocks located in this area which are decorated with simple cup marks are described in Beckensall and Laurie, Prehistoric Rock Art of Co. Durham 1998, pp79-82. Durham County Books. Additional Notes No less than four burnt mounds have been recognised within the wet pastures close to the small streams which rise at Howgill Head, some 400m to the north of the rock art sites at springs. This small complex of sites provides evidence for Late Neolithic or early Bronze Age seasonal pastoral (tranhumant)activity here. Image 1 Description Hunderthwaite CP. Howgill Grange Farm. Site 1. Image 2 Description Hunderthwaite CP. Howgill Grange Farm. Site 1.